Beauty Care Choices: Damaged Ends! Get help with these tips! Depending on your style, the first thing you should consider is getting a trim. Just a 1/4 to 1/2 inch can make a big difference. When applying your conditioner, start with the ends and leave it on for 1-2 minutes before applying to the rest of your hair. 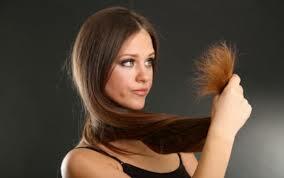 Use a leave-in product on your hair ends that is made for repair. Two really good ones are Tigi Catwalk Hairista for Split End Repair and Alterna Caviar Anti-Aging Rapid Repair Spray.